Dear God, but it was perfect. Let me now sing praises to this cherry limeade. It is not often, in fact it is seldom, that I find something I think this fabulous. For fabulous it was. Oh, I will be back. They can bet on it. A hamburger place in town, not even a mom & pop place, where you might expect to find something this good, but a place whose hamburgers are pretty terrific also - I'd seen them make this before, noticed they used actual real limes, unlike some of those other places that just use Sprite, and they shall remain nameless; I'd watched them squeeze the juice out of several limes into a cup, thinking how I should try one someday, thinking that it would still no doubt be too sweet, that they were probably adding sugar unbeknownst to me, behind my prying eyes, but oh no. They weren't. The perfect tartness, and oh, oh! I love me some tartness! My mouth is still tasting it, my tastebuds still all ajitter with such perfection. Lordy. I was like Sally in When Harry Met Sally, but I really meant all my oohing and aaahing, no faking on my part. Next time I will get a size smaller because I know I will drink it all up, just like today - my tummy all pooched out with sheer pleasure. My mouth smiled on the inside. I am so laughing because when Robert and I went there the other day and you had told me about how they made them with fresh lime.... I got one, tasted it and threw it right in the trash....lol...glad you like it though. Glenn - They're VERY tart. You might throw it out also! LOL! isn't funny how someone can just "talk" about limes and my mouth puckers. Katie and I don't drink many soft drinks, so we approach even the weakest ones carefully. You ought to sample a Jarrittos at Taco Wacco. One shot would be enough. Battery acid. 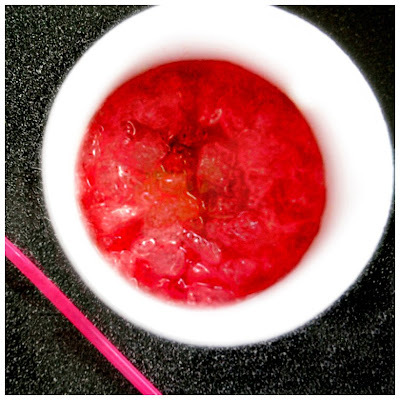 I sampled Katies cherry drink...about 5ccs worth. It wasn't really a drink. More like a reagent. SYW - I know. I love that. Christy - Sonic's is really good. We don't have a Topsy's, so I can't lend my expert opinion. LOL! My goodness. All that from a slushy. WOW! really? was it a slushy? i can't really imagine what it tasted like...was it like a gin and tonic perhaps? is that why you swooned and maybe why katie threw it away, all that bitterness? i have never been to a braums..but when i do go maybe i will just have the cheeseburger and you can have my cherry limeade. what do you say to that cupcake? love braums...love the title more ! I just knew you were talking about Sonic. Well. I was close. Don't you just love it when something is perfect, so exactly right?